Almost all U.S. citizens know of Black Friday, the day when large retailers offer amazingly generous deals, resulting in malls packed full of oppor-tunistic shoppers; however, “Black Friday” didn’t always refer to a yearly consumer craze, but a gold scandal in 1869 that led our country to the brink of an economic depression. As a country that had just gone through a civil war, the U.S. was struggling financially; in fact, the Federal Government was $2.8 billion dollars in debt by the time Ulysses S. Grant was elected president. As a result, George Boutwell — the Secretary of Treasury at the time — sold gold at the New York Gold Exchange to help pay it off. At first, this did help — but soon after, disaster struck. Two conniving speculators, Jay Gould and James Fisk, hatched a plan to exploit the gold market, planting ideas in President Grant’s head that the the gold sales were detrimental to Western farmers. As a result, Grant stopped Boutwell from releasing weekly gold from the Treasury Department, raising its value. Gould and Fisk had simultaneously been buying millions of dollars of gold, further raising this price. Gould’s gold account grew from $10 to $18 million as a result. When the price of gold exceeded $155 an ounce on September 24, Grant decided to put an end to the scandal, instructing Boutwell to sell $4 million worth of gold and buy $4 million worth of bonds — tanking the value of gold from $160 an ounce to $138 in a matter of minutes. Panic in the Gold Room ensued; stock prices immediately dropped by 20 percent, ruining the careers of numerous speculators, and plunging the United States into a period of financial disrepair. Black Friday may have gotten its name from the economic use of the word “black,” referring to profitability, since Gould and Fisk had enjoyed large profits up until the economic crash; however, due to the extremely negative results of the day, “black” could simply be a word used to exemplify the dread felt by those involved. Philadelphia police officers later used the term “Black Friday” in the 1950s to describe the day after Thanksgiving when shoppers — eager to take advantage holiday sales — filled the streets; the cops couldn’t take the day off due to unruly swarms of people, and had to suffer through 12-hour-shifts. The disgruntled officers began calling this day “Black Friday,” perhaps in cynical reference to the dreaded day of chaos back in 1869. Surprisingly, the term actually began to spread. Retailers hated the negative label, and attempted re-coining it “Big Friday,” to no avail. However, in the end, “Black Friday” was adopted, and retains the same commercial connotations today. In the second in Jagwire’s series of road-education articles, I will explain an other misunderstood feature of the road: merging. Seen on interstate on-ramps and instances when a lane ends, merging zones have been the subject of much scrutiny and research. Additionally, it continues to be a troublesome part of driving for many drivers. There seem to be two schools of thought when it comes to how they work. The first advocates getting over proactively, as soon as possible — aptly named “early mergers.” The second purports waiting until the very last minute to merge. Numerous studies have investigated both strategies, and have time and time again proven that the second is both safer and more efficient for all drivers. The easiest way to explain how merging should work is to visualize a zipper; two lanes full of cars “zip” together, with cars from each lane going one-after-another to combine the two lanes into one. It is not worthwhile to get over early, as this clogs up one lane while leaving the other wide open. This then creates dangerous situations as cars can come in at high speeds and pass many cars, which in turn can create road rage. other — but rest assured that by getting over later you are helping everyone get to their destinations sooner. It should also be noted that when merging on highway on-ramps, it is the duty of all drivers to accelerate to high- way speeds prior to the end of the ramp. This ensures that merging onto the actual highway can be done safely, and also prevents accidents and rage from drivers still on the ramp. Subarus smattered with Bernie Sanders bumper stickers, moms coming out of yoga in peace sign shirts and little boys running around Weaver Street Market in princess dresses; the slogan of the Town of Carrboro reads “feel free.” Local food markets pride themselves in being co-operative organizations — built on a sense of community, and powered by the unity of all people. A mural that depicts the United States as a “Nation of Many Colors” adorns a brick wall in the city center; it’s easy to see Carrboro as a community that respects diversity. 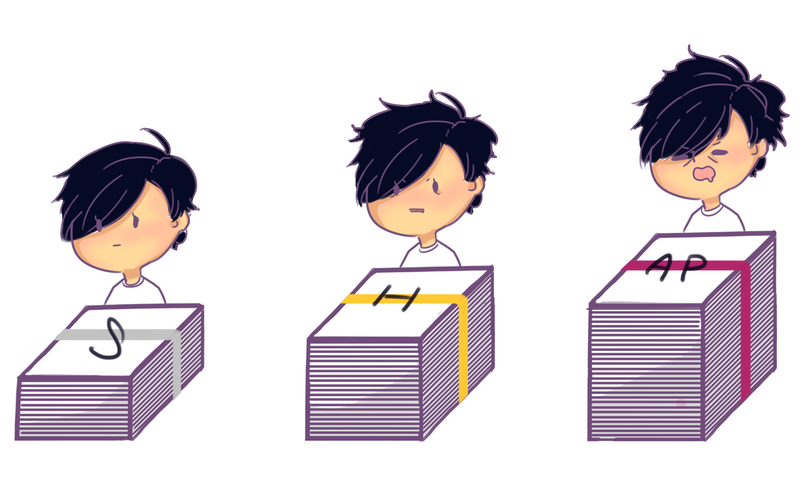 However, everything changes when citizens return home. As the appearance of integration and inclusivity attracts more rich white liberals to new urban developments, Carrboro’s historic residential communities face the threat of eviction. The gentrifi cation of the town of Carrboro is slowly erasing historically black communities — the very communities that built the town. The future of historically black neighborhoods, according to the website of the Marian Cheek Jackson Center, is important to preserve. The Jackson Center focuses on stabilizing and improving the most historic neighborhood in Carrboro: Northside. Northside originated as a “service community” comprised of free blacks after the end of slavery, many of whom were contracted to do hard labor by the University of North Carolina. After desegregation, many black businesses were replaced by the primarily white-owned businesses that now reside on Franklin Street. Even local teachers were struggling to find work as the recently desegregated schools hired almost exclusively white teachers. This disruption of infrastructure financially crippled Northside’s residents, and its effects can still be seen when comparing its median household incomes to those of white neighborhoods. Northside’s battle against gentrification in Carrboro has been a long one, and it is still not over. The town of Carrboro took steps to recognize Northside as a Conservation District in 2004, but this did not stop the displacement of its residents. The U.S. census indicates that the African American population of the Northside area has declined more than 40 percent since 1980, as the boundaries of the neighborhood continue to shrink under recent “urban renewal” plans. In 2008, a former black business district near Northside was replaced by a condominium, housing, almost exclusively wealthy, white students attending the university. Even today, despite continued work to preserve the neighborhood, its black population dwindles;, slowly being overtaken by an influx of affluent white families and college students. As Carrboro continues to market itself as a town with a basis in social consciousness, it must take concrete steps to meet that commitment. An inclusive community must include the needs of minorities, and if Carrboro continues to neglect the sustainability of the historically black neighborhoods, it is neglecting the sustainability of its people. If the Northside neighborhood continues to shrink, so too does the historical perspective that built the town of Carrboro. 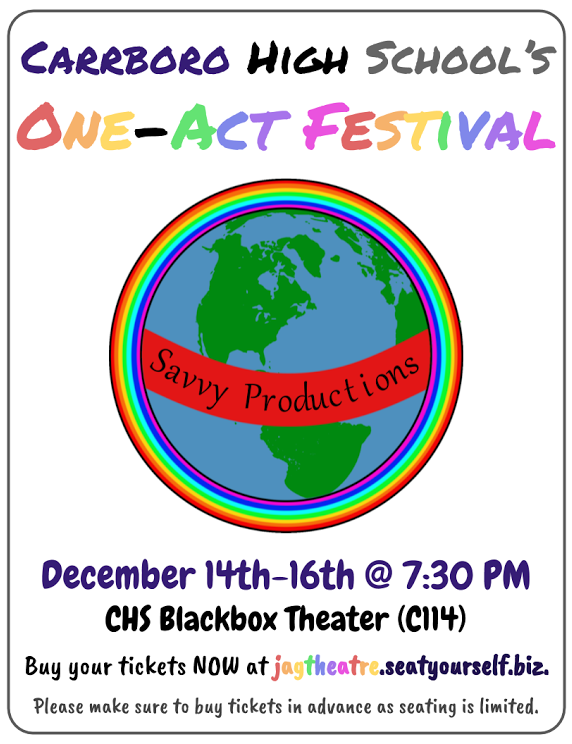 December 14 through 16, the JagTheatre put on a series of performances in Carrboro High’s Blackbox Theater. A product of roughly two months of preparation, the performances—called One Acts—carried on an annual tradition. case of a director’s absence. For Brian Kelly, a junior, the 2017 performances marked his first experience with One Acts. Kelly directed “Barbie and Ken,” a comedy by Sandra Dempsey. An arduous process, a significant portion of his work as director took place outside of school hours. “This role has entailed choosing a play to direct; holding auditions and callbacks for the roles I intended to cast; casting my show; planning all set, stage, costume, makeup and sound design; and holding rehearsals for the show,” said Kelly. One Acts plays each lasted around ten minutes. Historically, the plays had been almost exclusively comedic. Kelly notes, however, that this year was unique in that certain plays had a dramatic tone. Among all the components of One Acts, Kelly most appreciates the sense of student independence. He attributes much of the production’s success to Brett Stegall, the event supervisor and a key figure in the performing arts department. Looking for a good way to escape the cold this winter? How about cracking open a good book and diving into a world where the cold has vanished? This year many spectacular novels were written. 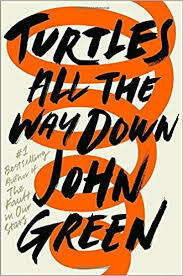 Number one on The New York Times Bestseller List for seven weeks is Turtles All the Way Down By John Green. Green illustrates 16-year-old Aza Holmes’ search for fugitive billionaire Russell Pickett as she struggles with OCD. This book presents a window into the mind of what a teen struggling with mental illness might have to deal with every day. 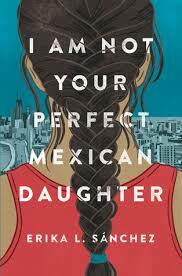 I Am Not Your Perfect Mexican Daughter by Erika L. Sánchez also deals with mental illness and is a 2017 National Book Award Finalist. Sánchez tells the story of Julia, who must put her family back together after the death of of her perfect sister, Olga. She does this while being constantly criticized by her mother, ignored by her father and struggling to come to terms her mental illness. The book features complex characters, love, frustration, Latinx elements and important issues such as mental illness. 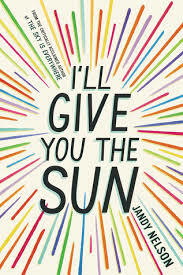 I’ll Give You the Sun by Jandy Nelson narrates the life of two artistic twins, Jude and Noah. This book details a story of first love, betrayal and family told by both the twins but from different points in time. Chloe Carroll, freshman, loved I’ll Give You the Sun. “I really liked how Noah thought of art pieces he could make out of each situation… I think it really added to the story,” says Carroll. 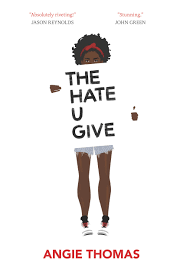 The Hate U Give, by Angie Thomas, follows Starr as she battles the thick political and emotional waters following the police shooting of unarmed black teen Khalil. The Hate U Give has been on The New York Times Bestseller List for 36 weeks. Kara Watson, Carrboro’s Librarian, highly recommends the book to everyone. “I think that [The Hate U Give] sheds light on huge issues — not only police violence but institutionalized racism… I think everyone should read it.” said Watson. 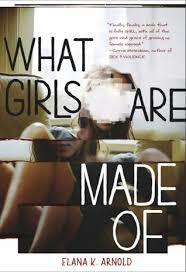 Similar to I’ll Give You the Sun is What Girls Are Made Of by Elana K. Arnold. The book is a 2017 National Book Award Finalist, and deals with what love means to main character Nina Faye. Nina learned at a young age that there was no such thing as unconditional love; then, when the boyfriend she would do anything for breaks up with her, she struggles to learn what love means. The book pushes boundaries and teaches readers about issues that teens need to understand and learn. It has been a great year for books — especially ones that touch on important issues — and these are only a few of many. No matter what genre or author you chose, any of these books would be a great choice for these winter months. The Chapel Hill Youth Council has been working on plans for a new teen center for the past year. Within the next three months, they hope to ask Chapel Hill Town Council to approve their ideas. 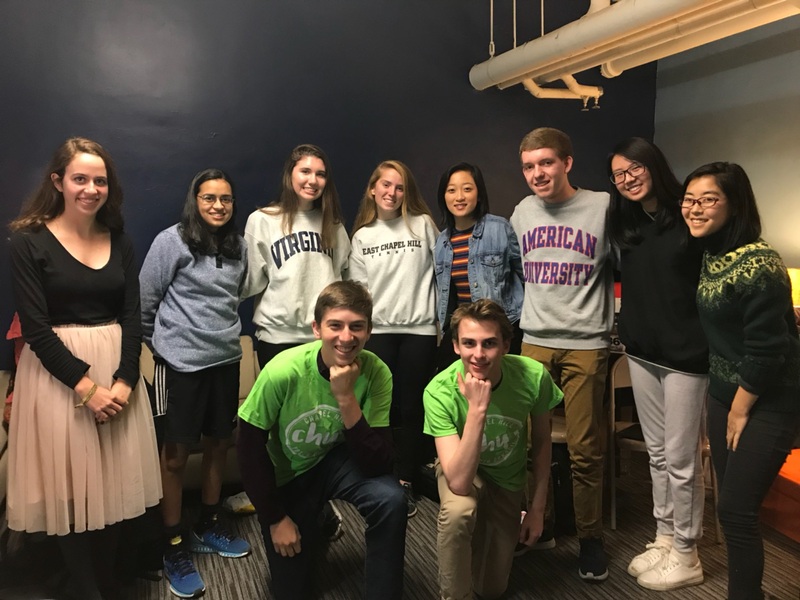 Chapel Hill Youth Council is a group of around 20 high schoolers who meet twice a month to address issues that affect Chapel Hill teens. 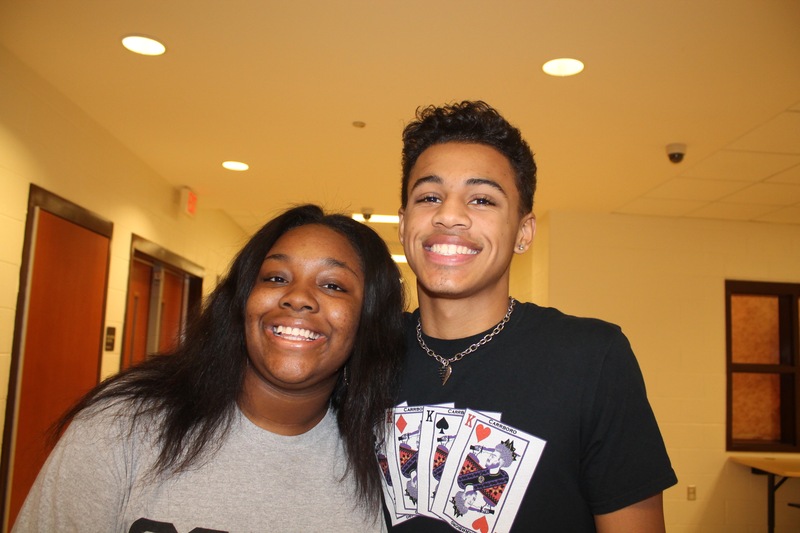 Their job is to advocate for the interests of teenagers by speaking with Chapel Hill Town Council as well as different Chapel Hill boards and committees. Jonah Perrin, a senior, joined Youth Council this year. He values the group because of the voice it gives teenagers. “Even though we can’t vote, we are important,” said Perrin. 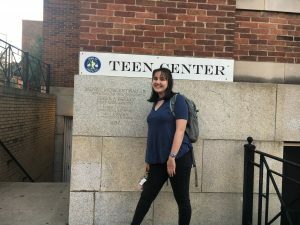 There is already a teen center in Chapel Hill, located in the basement of the historic post office on Franklin Street. However, the space has myriad issues. There are no doors on the boys bathrooms (making them unusable) and the lights flicker. The ceiling leaks, the walls are graffitied, and the room is home to a number of random, even dangerous objects: electrical spikes that stick out of the walls, an assortment of old microwaves and an exposed fire-hydrant. “It is not a functioning space,” said Susannah Broun, president of Chapel Hill Youth Council and a senior at East Chapel Hill High. “There are parts of [the basement] that are kind of scary,” said Perrin. The teen center is currently a home for local youth-centered organizations, including Blackspace — a recording studio and self-described “hub for Afrofuturism” — and One Song Productions, a youth-run theatre company. It also hosts rotating summer camps and afterschool programs. Chapel Hill Youth Council hopes the new teen center will continue providing this meeting space while also including new amenities. Possible additions include ping-pong tables or a basketball court, college/career counseling services, art or language classes and an open study space. More broadly, Youth Council hopes to create a space where teens from across Chapel Hill/Carrboro can come together. “The teen center should be a place where teenagers can meet, collaborate and foster youth engagement,” said Broun. Designs for the new center will in part be inspired by the Seymour Center, an Orange County center for Senior Citizens. The Seymour Center is a newly renovated building on Homestead Road that contains a theatre and restaurant, hosts guest lectures, provides social workers and offers classes in fitness, arts, dance and languages. While Youth Council does not intend to completely replicate the Seymour Center, they think it reflects the goals they have for the new teen center. The location of the proposed new teen center is not yet set, but Youth Council isn’t picky. “We’ll take whatever land Town Council will give us,” said Broun. Individuals interested in supporting the new teen center can sign Youth Council’s online petition. Broun also suggest attending Town Council meetings whenever possible and speaking with adults about the importance of the teen center. Photos courtesy Jonah Perrin and Susannah Broun.